As I wrote last week it has been somewhat surprising to observe the reaction of St. Louis Cardinals’ fans to the loss of Albert Pujols. I have not done a ton of research into this, but the overall sentiment has been “total bummer, but we are better off in the big picture.” That’s a very mature response. 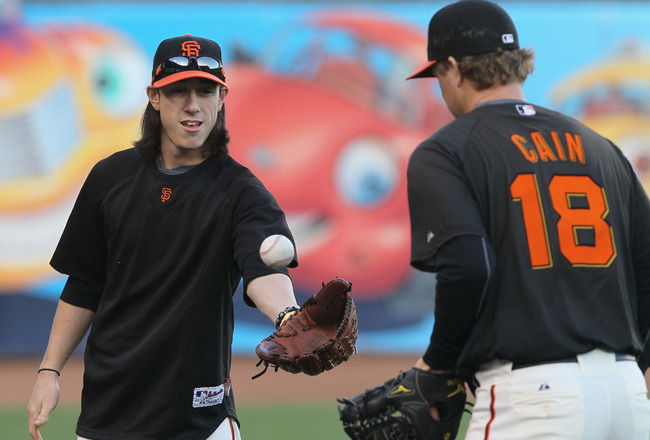 If/when the Giants lose Tim Lincecum there will be weeping and gnashing of teeth in Giantsland. Right now, the weeping and gnashing of teeth has been reserved for the “moves” made by the team this offseason. Everyone seems to have figured that re-signing Carlos Beltran was a minimum given and on top of that maybe a Jimmy Rollins or a Grady Sizemore or something extra. Nope. Matt Cain: 5 years, $85 million. Tim Lincecum: more than that! In other words, 5-8 years and probably more than $200 million to keep them both around (Lincecum may make $25 million in arbitration this year which is almost the yearly average value of the Pujols deal). I’m not saying this to be a downer. I’m not saying this to argue the Giants should trade or let one of them walk. I’m not saying this to argue there shouldn’t be a better option at shortstop next year. I’m just offering some perspective. No way the Giants can make a move for a big-time bat and keep these dudes in orange and black. This entry was posted in Giants, Offeason Moves and tagged 2012, giants, matt cain, tim lincecum. Bookmark the permalink.